La dulce Diana del blog Double-Ganger me ha concedido mis tres primeros premios Blogger. ¡¡GRACIAS DIANA!! Lo cierto es que es muy agradable saber que hay otras compañeras que aprecian y valoran tu trabajo. ;-) ¡¡Por cierto no dejéis de visitar su blog!! - Bravoe Runaway: Sigo a Bessie (blogger de Chicago) desde que empezó y me encanta cómo ha evolucionado su estilo y la originalidad que tiene para presentar cada look. ¡¡Una de mis lecturas diarías!! - Crazy Style Love: Jenny (blogger de Toronto) tiene un estilo que me encanta: femenino, chic y con mucha clase. Adoro cómo combina básicos con accesorios diferentes que siempre consiguen “elevar” el look ¡Perfecta! Otra de mis lecturas diarias. - Vistete que viene curvas: Eli es una de mis bloggers preferidas por su cercanía y porque luce orgullosa sus curvas si perder un ápice de su estilo. - Moi Coquette: ¡Complementos especiales y muy diferentes! - Anchor & Helm: De estilo fresco y actual pero sin perder la feminidad. - Style Muses: Oana es italiana y tiene un estilo impecable ¡¡como no podía ser de otra manera!! - Pa que te vistas bien: Clara nos ofrece día a día inspiración para vestir looks perfectos. ¡Su gusto es exquisito! - Elegantesque: Me encanta como Hannah sabe sacar partido a su figura con looks llenos de estilo y elegancia. - Always Maylee: ¡¡Looks sencillos, frescos y 100% copiables!! - Lady Trendy: ¡¡Tal y como el nombre indica una lady muy trendy!! - Chic Fashion World: Borka (blogger de México) es mi último descubrimiento. Posee un estilo depurado y muy chic. ¡¡No dejéis de visitar estos blogs chicas porque merecen la pena!! ¿¿Conocíais alguno de ellos?? ¡¡Espero vuestras opiniones!! 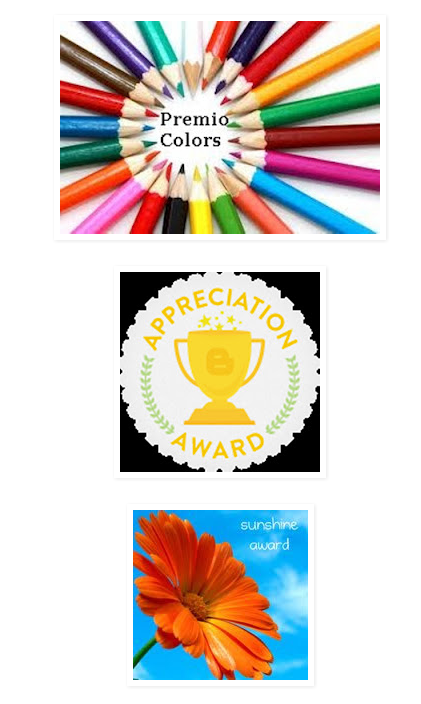 Sweet Diana from Double-Ganger has awarded me with my first blog awards. THANK YOU DIANA!! To be honest is very rewarding knowing that other bloggers like and appreciate your work. ;-) BTW don’t forget to visit her blog!! - Bravoe Runaway: I follow Bessie (blogger from Chicago) since her begginings and I love how her atyle has evolved and how she presents every look. She’s definitely an original lady and one of my daily reads!! - Crazy Style Love: Jenny (blogger from Toronto) has a style that I love: feminine, chic and very classy. I love how she combines Basic clothes with statemen accesories tha make her outfit “elevate”. She’s perfect!! Another of my daily reads. - Vistete que vienen curvas: Eli is one of my favourite bloggers because she’s a very easy going lady and dress her curvy body proudly without loosing her style. - Moi coquette: Different and very cute accesories!! - Anchor & Helm: Fresh and trendy style without losing feminity!! - Style Muses: Oana is Italian and has a super polish and great style. It couldn’t be otherwise!! - Pa que te vistas bien: Clara offers us daily inspiration to dress with perfect looks. She’s got an exquisite taste!! - Elegantesque: I love how Hannah enhances her body with super stylish and elegant looks. - Always Maylee: Simple, fresh and 100% wearable looks!! - Lady Trendy: As the title of the blog says a very trendy lady!! - Chic Fashion World: Borka (blogger from Mexico) is my last discovery. She’s got a very polished and colourful style. Ladies I invit you to visit these blogs ‘cause they’re worth it!! Did you already know any of them?? Let me hear your opinion!! Enhorabuena! !Que alegria da cuando reconocen tu esfuerzo verdad!! Pasate por mi blog!! ;) Un beso!! Patricia, CONGRATULATIONS on receiving those awards! You definitely deserve them! Thank you so much for the nomination!!! That is just super sweet of you! It means so much to me, especially coming me from a fellow blogger. You have been so kind, and I sincerely thank you for thinking of me for these awards. Un millón de gracias hice dos links permanentes en mi blog hacia el tuyo, destacando tu mencion! i'll follow you back right now=) by the way, congrats! Hola corazón!!! Enhorabuena por tanto premio!!! Y..... mil gracias por los míos!! No sabes la ilusión que me hace que te acuerdes de mí. oooh!!! muchas gracias guapa!!! que ilu!!! Hi Patricia! SO sorry I am so late visiting your blog. I've been addicted to watching the olympics it's sick! Anyways, congratulations on the award and thank you so much for your support over the past year. Your blog is amazing as well, and I always look forward to your posts! Thank you and here's to more outfits, movie post inspirations from you, and much much more in your personal stylist career! Congrats for the award!! Of course we'd like to follow each other. A big congrats from me!